Healthcare is a very important responsibility you should not ignore. Everyone, young and old, is given this responsibility; and it is one that you should not belittle. 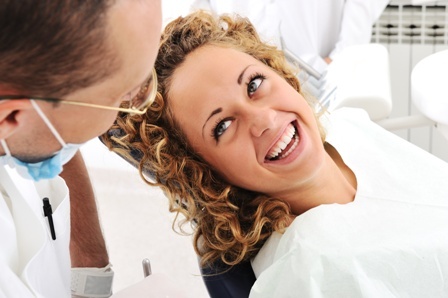 In dental health, the maintenance of the beauty and function of your teeth is best guaranteed when one truly makes an effort to see the dentist. You see the dentist, not just to find a solution to your problem, but you see the dentist even in the absence of a dental problem, in order to receive proper preventive dental care. Oral hygiene practices at home help to effectively rid the mouth of disease-causing bacteria. Plaque accumulates on a daily basis, and when it is left to collect in the mouth, it can lead to gum disease and tooth decay. You brush your teeth regularly and thoroughly, to remove plaque and clean the mouth. You floss in between teeth to remove plaque and food particles that you were not able to remove through brushing. You rinse your mouth with a medicated mouthwash to keep the mouth smelling fresh and feeling clean.